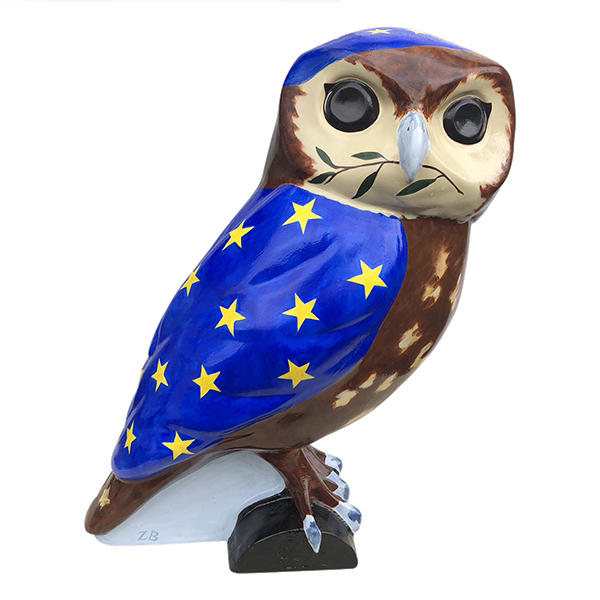 About the owl The inspiration for this owlet comes from Bath for Europe and their campaign for Britain to remain in the European Union. The wing plumage consists of a cloak of yellow stars on a blue background which matches the pattern on its beret.  A Union Jack flag is placed at the owlet’s heart and an olive branch hangs in the beak. About the sponsor We are a group of local people who are very concerned about the impact Brexit will have on our country and are currently campaigning for the People’s Vote. About the artist Zib is a trained artist living in Bath and specializes in figurative sculpture and drawing. She has worked a dozen years in stone conservation and now continues to draw in charcoal and work in mixed media. Where? Brunel Square, Bath BA1 1SX. Just outside Bath Spa Station by Avon Valley Cyclery. Viewing Monday-Saturday 0900-1730. Can be viewed through the glass windows out of hours.